﻿ Hack Outlook, Hotmail accounts: now hack accounts FREE! Are you looking for a MSN, Hotmail or Outlook password? How to hack an Outlook password? PASSWORD REVELATOR is the genuine software that allows users who have lost their MSN, Hotmail or Outlook password to get it back. Without time and use limits, it hacks and cracks the passwords even with two step verification. Ever forgotten your password? Who has never lost his password at least once in his life? The best way to solve that is PASSWORD REVELATOR. You will easily and quickly find your password back from every account! Try it now! We guarantee you the access to any Hotmail or Outlook account! If not, we refund! Here is an example of MSN, HOTMAIL or OUTLOOK email address with passwords that PASSWORD REVELATOR hacked. PASSWORD REVELATOR is very easy to use, just launch the application and follow the instructions. With your email address (or phone number) that you have entered, PASSWORD REVELATOR will hack the password and will show it on the screen. The password can be hashed or compressed, it doesn't matter, our powerful programming algorithm will hack it! Thereafter, don't loose your password anymore, you can save it in a text file by clicking on save. Password Revelator, the tool to hack a MSN account, to crack a Hotmail account or to steal Outlook password? MSN Hotmail Outlook Password Decryptor - The best solution to simply crack Hotmail passwords? Hack Outlook passwords quickly, easily? Or steal MSN accounts to obtain their passwords and then to sell them? 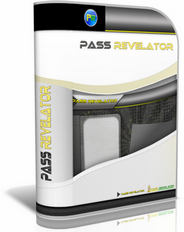 Password Revelator is a powerful software, downloaded and installed in 1 minute. By using it, you agree that this software is not made for this kind of wonder if they are not directly related to your account. Again, by using it, you agree to respect the laws of your country. Password Revelator software is not made to try by any means to hack, crack or steal the password and a Hotmail, MSN or Outlook account of your friends of your competitors. How to Hack Hotmail, MSN, Live and Outlook Account NO Survey? Despite the security concerns that have plagued Hotmail for years, most people are sticking around and new members keep on joining. We share our life on MSN. We share our birthdays and our friends. We share our vacation plans and locations. We share the births of our sons and the deaths of our fathers. We share our most cherished moments and our most painful thoughts. We divulge every aspect of our life. But we sometimes forget who's watching. Hence we know that there are not so many techniques to unlock Hotmail MSN profile but thanks to us, you are going to see how to access to a webmail using new feature introduced by Password Revealer. This what happens if you have lost your key and you don't have any way to enter in your default space panel than this feature will handy by sending request to your 3 trusted friends and hence gaining your account password again. We use Outlook as a tool to connect but some people use that connectivity for malicious purposes. We reveal what others can use against us. They know when we're not home and for how long we're gone. They know the answers to our security questions. People can practically steal our identities and that's just with the visible information we purposely give away through our public Hotmail, MSN, Live and Outlook profile. The database cracking system is very easy to use, and usually takes less than 5 minute. All you have to do is to fill the email address then click on the "OK" button. Our hacking software decrypts it just by a simple click and in a very short time! The process is invisible to your target and working remotely, which means your target will not notice that his password has been hacked unless you make changes on his Hotmail messenger (such as changing his private life, changing his picture, posts, comments... etc.). Password hacker is the #1 website providing totally free Hotmail, MSN, Live and Outlook accessing services at incredible speeds and amazing success rates. Our system is monthly updated with the latest data on unlocking an Outlook webmail so our system of breaking will work almost every time! Our application already works for Android phone and tablet. We work every day on the application in order to provide the best service to our users. As you may understand, PASSWORD REVELATOR is FREE of download, it means that you can use our software without limits and hack passwords! We work very hard to get this result. We had the possibility to put only code lines and to let you find your own way to get the result but we thought that we had to make everything working 100% with final design. Now the only thing you have to do is to put your email inside the software and to wait the result. The first version of this wonderful hacking tool was a success with more than onr million downloads in 1 day. It’s normal, as mentioned before, everyone has lost his password at least one time in his life. Now more thousands of users still download our software and we have to keep this updated each time MSN fix a fail. There is alot of reasons why a user wants to hack an Outlook password, maybe to check what his girlfriend /boyfriend wrote. Maybe to check his competitors emails, to make a joke or simply to send spam emails. Well, everyone on the earth as a good reason to hack a Hotmail account but keep in mind that you should only doing this on your own account and not on others. You have to respect the law of your country. If you really want to hack a password, you should process by checking the software, installing it and using it. It’s easy because we made the more complex part for you to make it simple. Normally you should have commands lines to enter but we made the design and there are only few steps to get the result from an email address. 1.) Thanks to PASSWORD REVELATOR application I can use it as a Hotmail Password Hacker software. 2.) How to hack a MSN account with PASSWORD REVELATOR? 3.) I spy my girlfriend because I hack Outlook password account. 4.) I downloaded the software and I hack password Outlook to spy people. 5.) PASSWORD REVELATOR the ultimate Hotmail password cracker, the best software!